MAURICIO E. BARREIRO, LLC is an AV-rated, diverse and fully bilingual litigation law firm, specializing in white collar criminal and business litigation, complex civil litigation/dispute resolution, criminal defense (incl. DUI, DWI, homicide, assault & battery, weapons, narcotics & traffic), & immigration deportation proceedings, arising in Maryland & the District of Columbia. Completamente capaz de proveer consultas en ingles o espanol por un honorario rasonable. Mr. Barreiro is a Georgetown-educated attorney, and has been recognized and honored by his peers since 2007 as a "MARYLAND SUPER LAWYER, Top Corporate Counsel, and Legal Elite." Over the years, he has selectively represented corporations and individual clients, and served as their "Personal Counsel" for substantial legal matters. Mr. Barreiro has previously chaired the Governor's Commission on Hispanic Affairs, the Baltimore County Human Relations Commission, and the Baltimore Hispanic Chamber of Commerce. Managing member, Mauricio E. Barreiro, has developed the legal expertise and resources to fully support your needs -- no matter how varied or complex. He regularly brings together teams of competent attorneys to address clients' specific legal and financial needs. Mr. Barreiro habla espanol fluentemente, pero no da consultas por el telefono o por gratis. 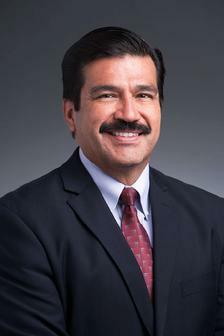 Mr. Barreiro began his legal career over 30 years ago at the venerable Baltimore law firm of Miles & Stockbridge, ultimately becoming its first Hispanic Principal in the litigation department. He helped recruit many attorneys for the firm, and regularly attended state and federal networking functions on behalf of the firm. One of his hires -- a trusted friend -- is now the highest grossing principal at his old firm. Over the years, Mr. Barreiro has been responsible for and/or tried numerous cases for corporations and individuals in the areas of business litigation, personal injury, product liability, mass torts, and real estate. Mr. Barreiro also has handled or tried countless criminal cases involving white collar crime, homicide, battery crime, narcotics, assaults, weapons charges & DUI, DWI, or traffic charges. He has handled administrative and other litigation matters for clients in front of various state and federal governmental agencies, including ICE, CBP and USCIS. Please use this site to learn more about how MAURICIO E. BARREIRO, LLC can help you and/or your business. If you would like to set up a personal appointment today, please click on the CONTACT US link to the left, to find out how to reach the firm. This website is designed for general information only. The information presented at this site should not be construed to be formal legal advice nor the formation of a lawyer/client relationship. Persons accessing this site are encouraged to seek independent counsel for advice regarding their individual legal issues. Copyright �2016 Mauricio E. Barreiro, LLC. All rights reserved.